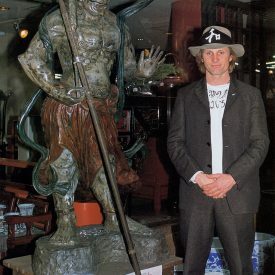 8:00 in the morning: Viggo came down with barefoot to the lobby of the so-called most popular hotel in Japan, and gave us two packages as gifts. One was a bottle of tequila to Mr. Sakazume, who is a buyer of Rock Sales Inc. The other was a self-portrait which was the size of calendar. The self-portrait is in a frame which he hand-made together with his son, Henry. Of course, there was his autograph. He is the man with thoughtful delicacy. That is my impression after having attended him the whole day (22nd). 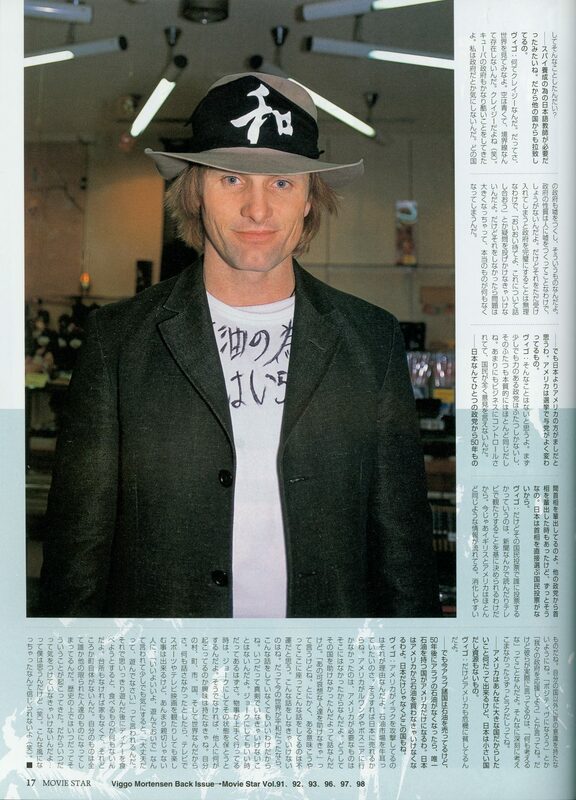 Viggo told us they had arrived at the Narita Airport on January 21st, and directly went to Ginza for the preview of The Two Towers. They attended a welcome dinner held by the film company. It was a big dinner with 10 dishes. They thought it was impolite not to eat all, but became full at 3 or 4th dish. Ryo Ishibashi, who was a co-star of American Yakuza (’93) and is his friend, visited him at the hotel and they had a nice time. Viggo bought his computer mid-January and is writing his original script with it. He cancelled his schedule to visit museums and continued to write in his room. Therefore, Ms. P. of Perceval Press, who came to Japan with him, checked the place for the book signing. She looked satisfied to see the long cue of female fans that came to the Tower Record Shibuya with the first train. [The first train arrives at Shibuya 4:30. — Misa.] There was a phone call from Viggo and she reported the situation. 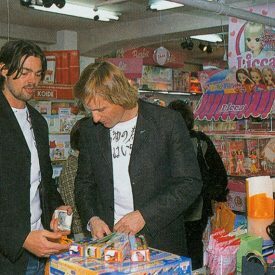 When we asked him where he wanted to go in the afternoon, Viggo requested that we go to a shop with a lot of Sanrio products. He said Hello Kitty was popular in the US and there were many grown-up fans. 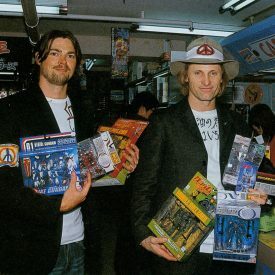 2:00 p.m. Viggo came down with Karl Urban (Eomer) who Viggo invited to come with him. I was surprised to see their appearance. 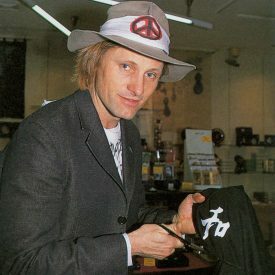 Viggo was wearing a jacket but his T-shirt beneath it had the message “Sekiyu no tame ni chi wa iranai (No Blood for Oil.)”. On the back of his jacket, there was a cloth with a slogan, which is the same with Karl. Although he said he would write a script, I guess he had been writing on T-shirts and sewing messages on the back of their jackets in his room alone. Since his hand-stitches were so rough, I offered to sew it properly. But he answered, “I did it intentionally.” We got into a van and went to the Meiji Shrine. 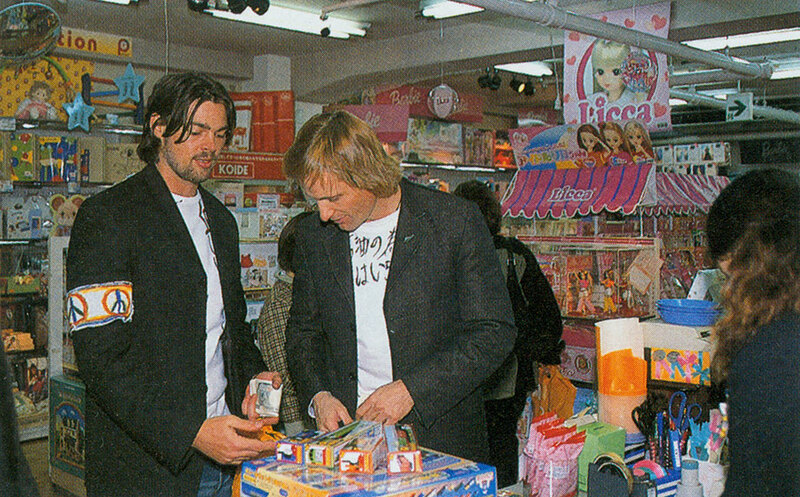 Until we had arrived there, Viggo kept insisting that he wanted to spend more time at a toy shop. However, once we arrived there, he felt strong inspiration from the quiet space in the middle of the urban city and asked us to explain everything. 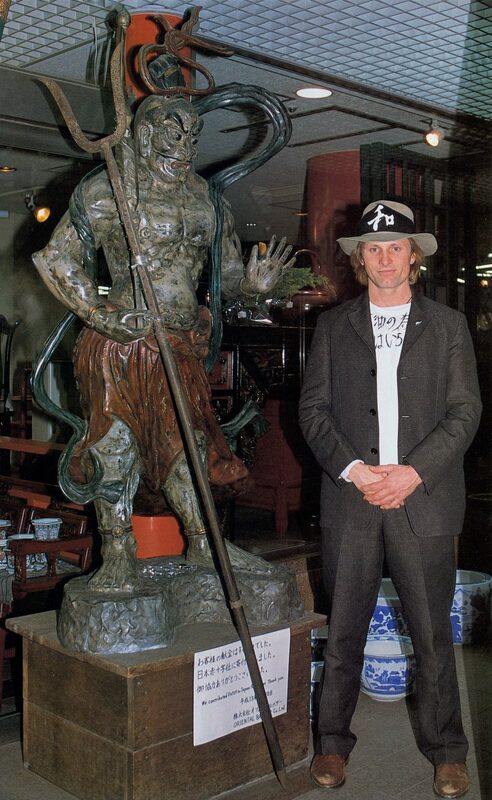 And he remembered his memories from his former visits to Japan and explained them to Karl and others. After having washed his hands with clear water, he wrote enthusiastically wishes on Ema. 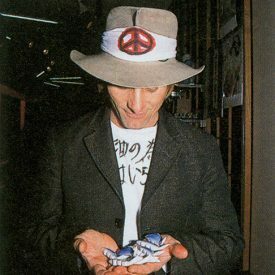 Did he wish the peace in the world? Then we left for the long-awaited Harajuku Kiddy Land, while eating just-steamed Sakamanju (100 yen). The highlight of the day was Harajuku Kiddy Land. He went straight to the floor that he wanted, and started searching various Kitty goods. But he didn’t buy anything at that corner. 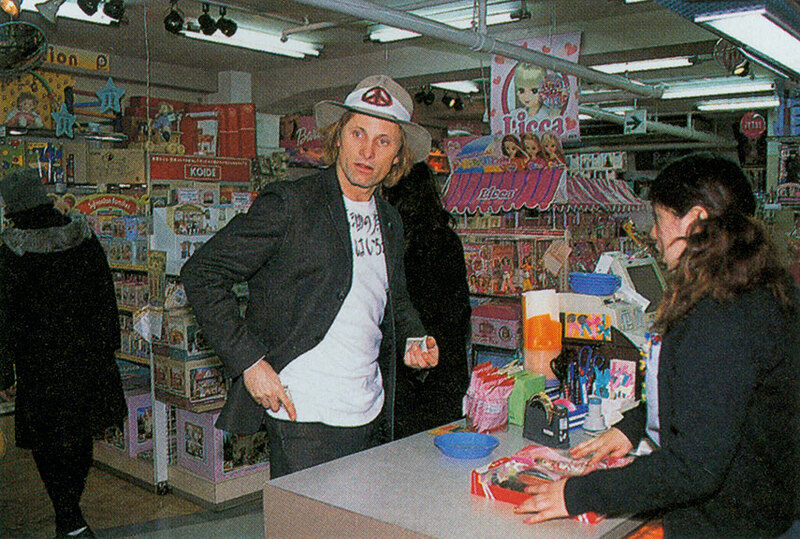 Then he went to the Licca-chan doll corner and he liked a Jenny doll in a sailor uniform, and wanted to buy it. “One of my friends loves Barbie. Of course, I love it, too. She is pretty, isn’t she?” But that Jenny doll was a sample, and there was only something similar. So he bought dolls in different costumes. Meanwhile, Karl was at a corner of ‘ Thomas the Tank Engine’ and bought some. Maybe for his son who was waiting for him at home? Then they went to the Gundam corner. There they were really serious and wearing aura which prevented us disturbing them. They didn’t move from there for nearly 20 minutes, staring goods almost touching glass cases. 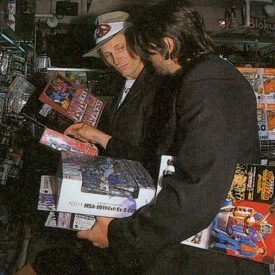 When they finally moved, both of them bought several Gundam goods. Never would have thought that, but Viggo knows extremely well about Japanese heroes. 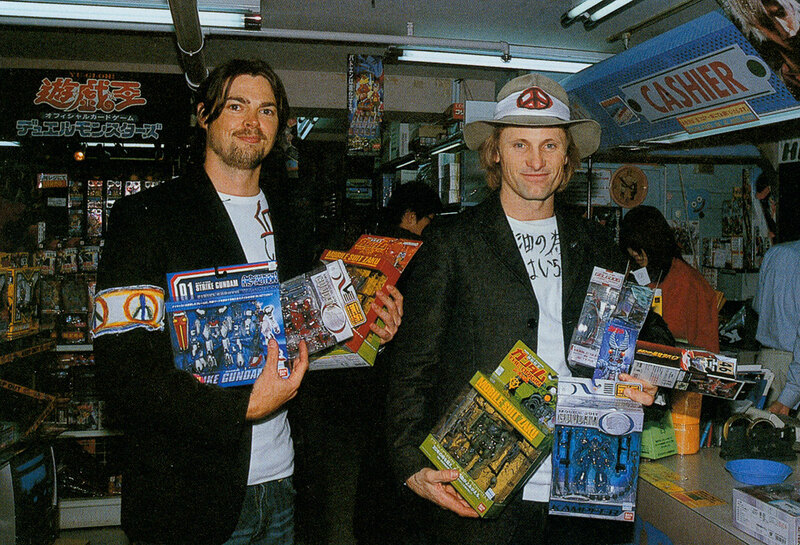 After having bought Gundam characters, Viggo asked where was the Ultraman corner. Again, they were in. This time, he came back after 5 minutes, but his arms were full of goods which he bought. He bought a figure set of Baltan Alien as a present to one-and-a-half-year-old son of Karl. 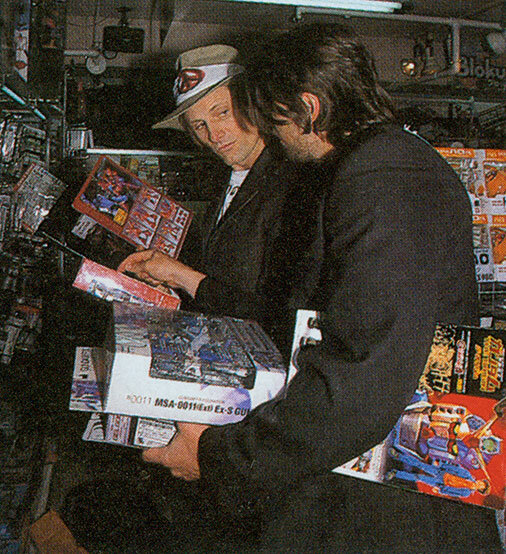 Viggo bought it after having confirmed, “He is a bad guy, isn’t he?” I wondered what was his intention. 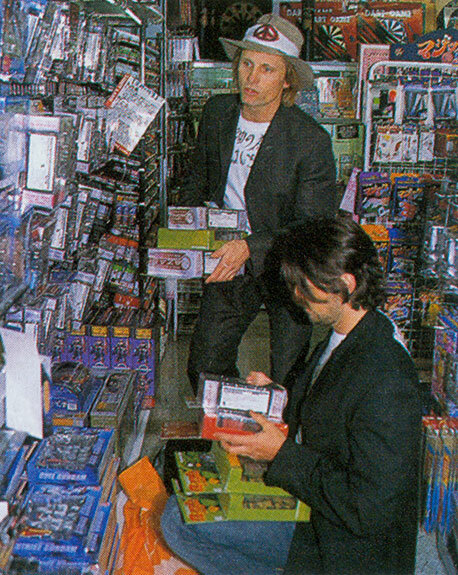 At that point, both of them already bought toys, enough for them not to be able to carry by themselves, but Viggo still didn’t want to leave. Therefore, Karl and other staff moved to the Oriental Bazar, which is a famous souvenir shop having a lot of Asian craftworks including Japanese. 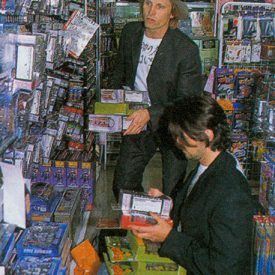 Finally Viggo went out of the toy shop after having bought a figure of Masked Rider Ryuki which we told him very popular in Japan now and came to the Oriental Bazar. 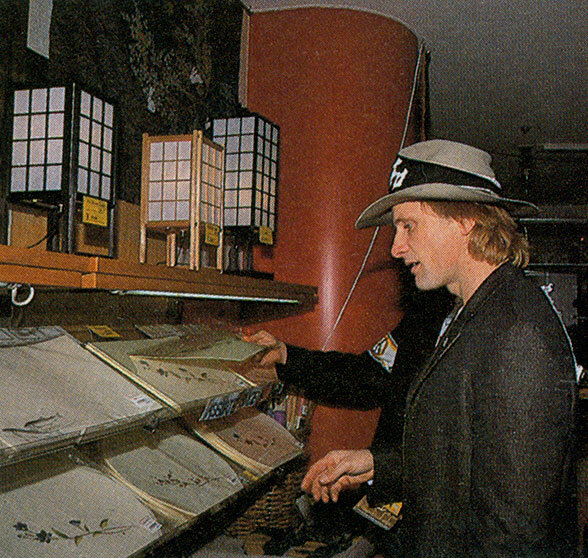 There at first he bought a lot of Japanese style letter sets and postcards. Maybe he needs them as gifts for friends. 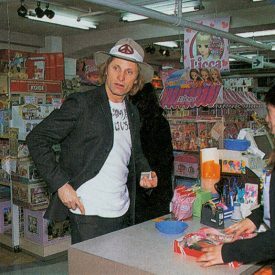 He spent a lot of time to choose them and came to cashier. Ladies at cashier stirred him and asked us who he was. “Wow, a Hollywood star? A handsome guy.” That convinced them. 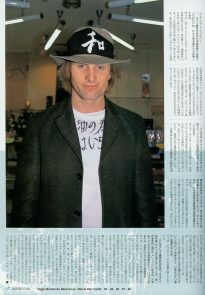 On the other hand, Karl had said at press conference it was his dream to come to Japan, and he seems to really have meant it. He definitely wanted to buy Maccha, Chatate and macchachawan [These are for tea-ceremony.-Misa] in Japan and was enthusiastically seeking them. Then he went downstairs to buy incense. What he chose was ‘Mainichi-koh’. It is incense but not for room. We told him that is incense, but for praying dead people. Karl turned back and rushed to change other ones. 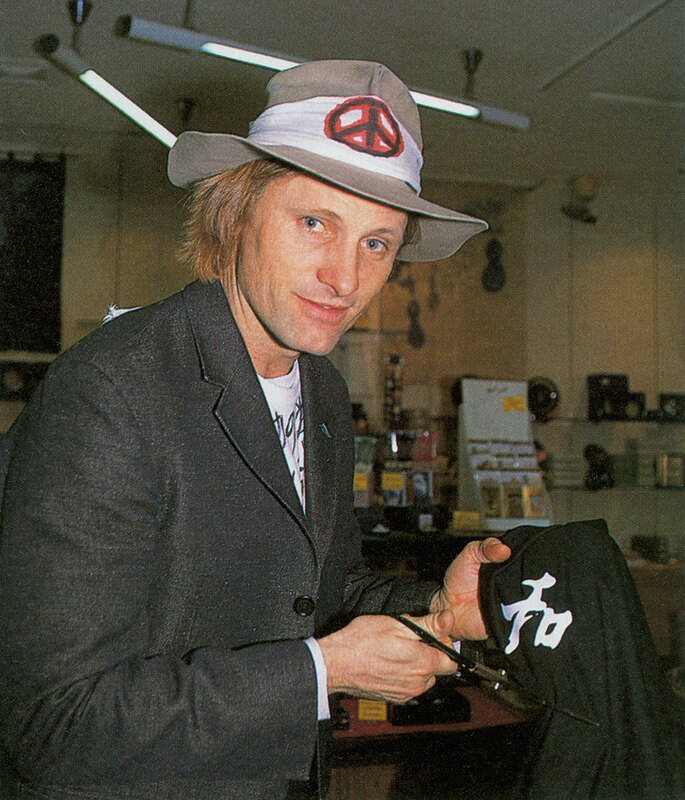 Meanwhile Viggo was holding a black T-shirts with a letter “WA” and thinking something. Then he bought it and cut the T-shirt with scissors without hesitation and wound it around his hat. It took only a few minutes. Of course that is because he discovered that “WA” means peace. His job was quick and neat and well-done. He is D.I.Y. person. This time Karl was stuck in the shop. 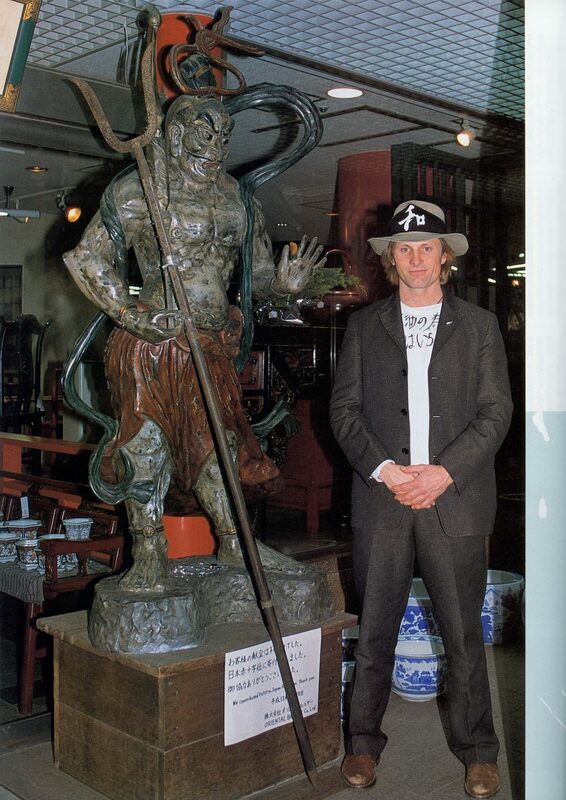 While we were waiting for him, Viggo stared at a Dava statue and told us he had seen similar statues in Nara which he had visited together with his son some years ago. 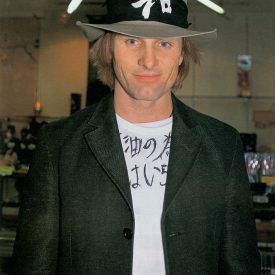 Viggo was holding a black T-shirts with a letter “WA” and thinking something. 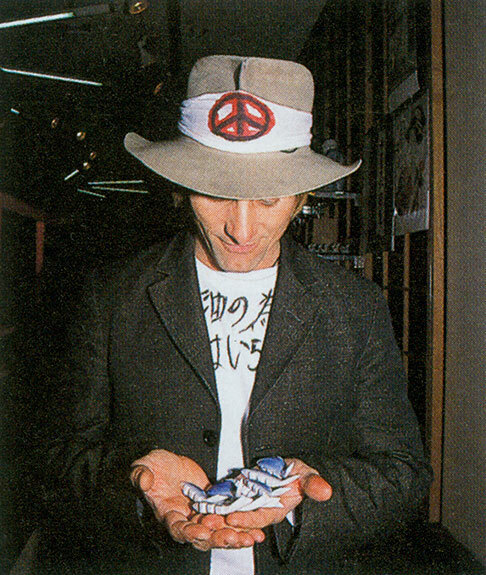 Then he bought it and cut the T-shirt with scissors without hesitation and wound it around his hat. It took only a few minutes. Of course that is because he discovered that “WA” means peace. His job was quick and neat and well-done. He is D.I.Y. person. It was half past four and starting to get dark. 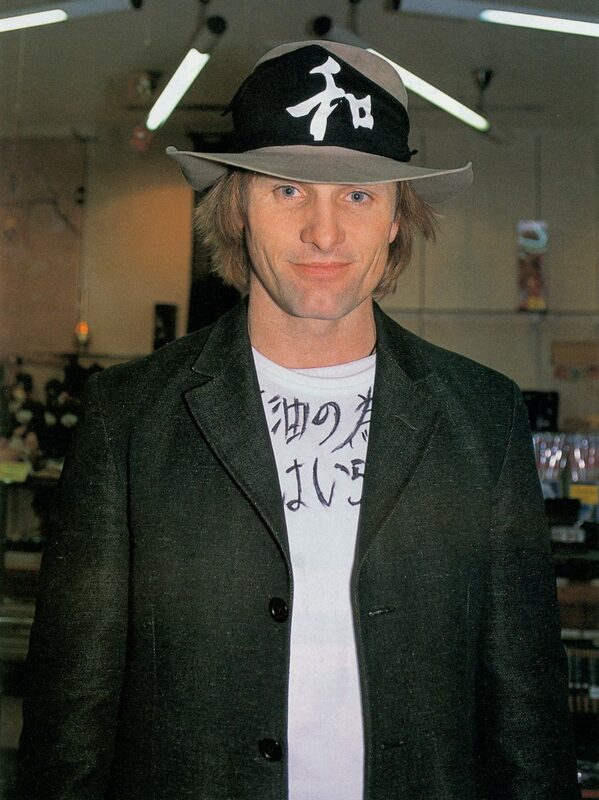 We asked Viggo, who said he was a bit hungry, which he preferred, sushi or sandwich. He answered instantly, “Sushi!” However, Karl, who finally came out from the shop, had some problem in his belly and didn’t want to eat anything raw. Therefore, we went to a tea room next to the Kiddy Land to eat sandwich. Just before his visit to Japan, Karl ate chicken which they cooked the day before because he thought it should be OK, and it hit him. Viggo and Karl ordered toasted sandwich with ham, cheese and fried eggs and Cafe au lait. It was quite a big one and they enjoyed. Viggo thanked politely when he got into the car. He cares so much. 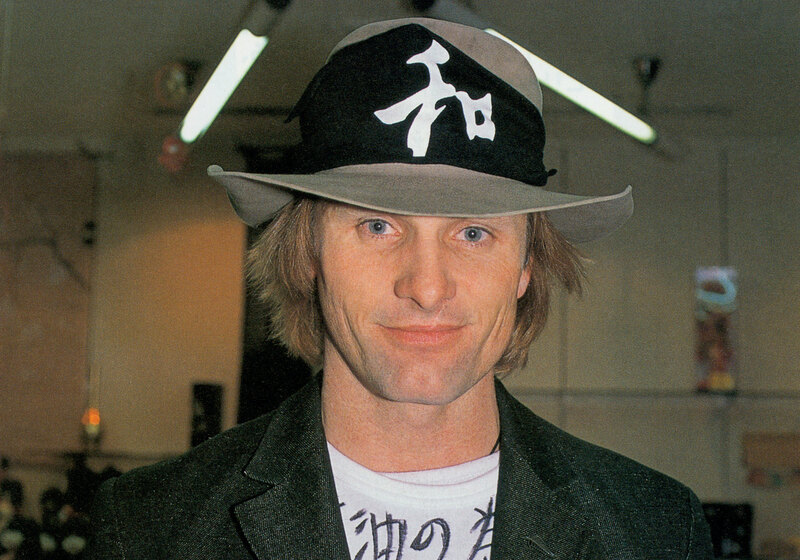 He presented a bottle of caramel sauce for bread to Kato who took photos, and told how to eat, “It is tasty if you put on a toast with butter.” When we arrived at the back gate of Tower Record Shibuya at half past five, there were nearly 100 female fans waiting for him. They were really excited. 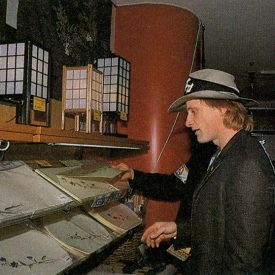 Until the door opened, Viggo opened the window and kept saying hello to fans. The excitement heated up in the signing. 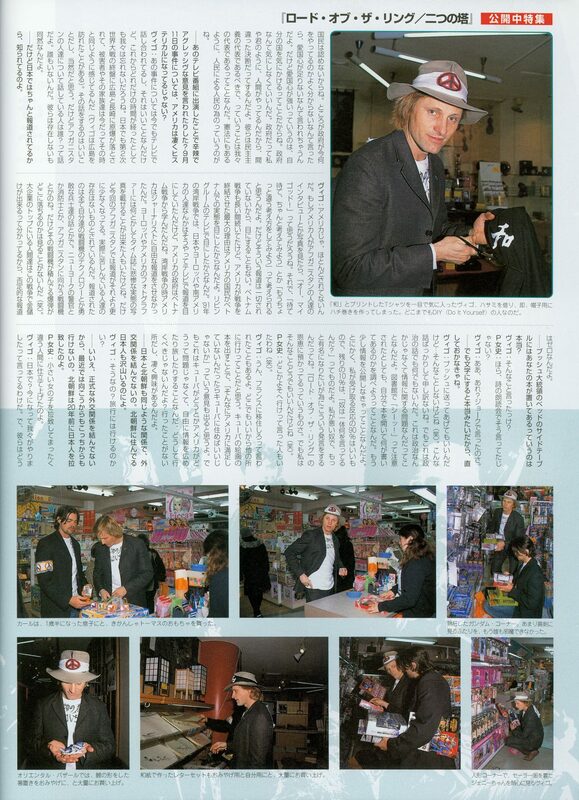 All scans by Brego.net from MovieStar #99, May 2003. 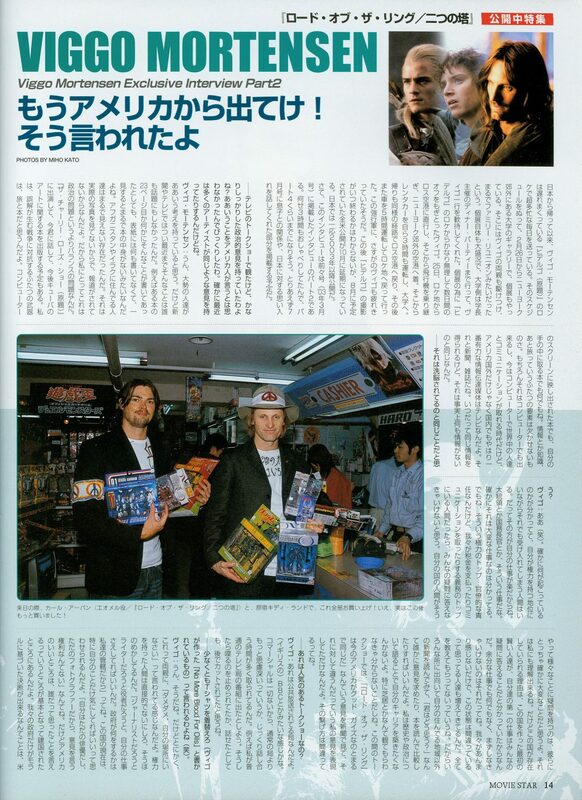 Published May 2003 in MovieStar #99. Notes: Photos by Miho Kato. Translation (partial) rescued from the House of Telcontar archives. If you know who translated the article, please let us know as we would like to credit them. Thank you!